Oil filter wrench is oil changing equipment which helps remove the oil filter easily and quickly without putting too many efforts. Do you change oil yourself? If yes, then probably you might be aware of how it works and if not, then it’s the right time you start using it. 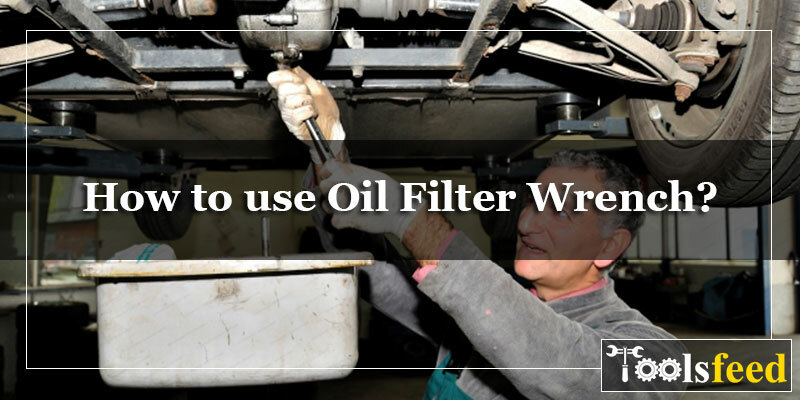 Without an perfect oil filter wrench, removing an oil filter is a challenging task because there is greasy road grime accumulated on it which is hard to twist. To get a strong grip on the filter and twist it easily, oil filter wrench is a good option. Oil filter wrench is specially designed for the purpose to fit an oil filter by proper gripping which allows you to twist the filter to loosen. As you may know, the filters are wider or larger than others so the choice of wrench depends on that. It is important to choose a wrench that fits the filter for your car. For that, you can ask a mechanic or visit an automotive store so they can check and let you know which filter wrench will suit your filter along with the right size and right style. Basically, the wrench fits on the top or around the oil filter which is then twisted to loosen the filter and then you can remove it. This type of wrench is made to fit over the top of oil filter much like a socket. The threads can be turned to release and loosen the filter. The cap style wrench is also called socket style wrench which lock onto the grooves or fluted edges which are there along the top of the filter. This wrench makes a tight grip over the edges and makes you turn the whole filter and twist off. The strap style oil filter wrench looks pretty much like a handle with strap. Also, it looks like letter P because it has a band on one end of it in a loop. To twist the oil filter loose, the handle is used as a lever when the filter goes through the loop and the strap is tightened. This style wrench also comes in different sizes like small, medium and large and you have to choose one according to the diameter of the oil filter. The strap of this wrench is made of plastic, metal and rubber which when tightened provides extra traction. As you may know, an oil filter wrench helps in carrying out all sorts of tasks required on the oil filter in a car. So before you buy any, make sure to check if it is right for your vehicle. This type of oil filter wrench is chained around the oil filter as it has a chain which is then enabled to be removed. The teeth formed by the chain structure create traction to make the metal of the canister easy to grip. This oil filter wrench uses two of the loops at either end of handle. This feature is present in wrenches using metal bands which are then operated to tighten around the oil filter and twist off. To remove the canister, the handle is turned anticlockwise which creates sufficient tension required for the removal. Claw type oil filter wrenches use metal prongs to grip the oil filter like a claw does. It is a good wrench, beneficial for those filters which are otherwise difficult to remove. It is because they are tight or encapsulated within a confined area. Oil filter wrench is a smart invention which helps to loosen the oil filters of your car without putting many efforts with your hands. As there is greasy grime gathered on the filters, the wrenches deliver an excellent performance. Also, your hands don’t get soiled with the grease as the wrench does everything on its own and you just have to turn it.